Defense Secretary Ash Carter's decision Thursday to lift the ban on women serving in combat is a major milestone in a process that is likely to continue for years to come. "Were going to get there, but it is going to take some time," said Marine Corps Lt. Col. Kate Germano, former commander of the Marine Corps' female recruit training battalion at Parris Island, South Carolina. "Until we recruit more fit women and we hold those women accountable to being stronger and faster and tougher, I think we are going to struggle to get women into the infantry in large numbers," Germano said in an interview shortly after Carter's announcement. Carter said the military will open all combat jobs to women early next year with "no exceptions," and the new rules will take effect as early as Jan. 2. About 220,000 jobs, or about 10 percent of the entire active and reserve force, are now restricted to men only, mostly in Army and Marine Corps infantry and armor units. Yet other military officials estimate it will take up to two years before women will be "recruited, accessed, trained, tested and assigned" to combat arms units, according to a recent report from the Government Accountability Office. Before that happens, a series of cultural, political and practical hurdles remain. Thursday's decision from the Pentagon's top civilian leader came despite internal opposition from the Marine Corps; Carter rejected the Corps' request to keep some positions limited to men, including infantry, machine gunner, fire support, reconnaissance and others. Carter made the historic announcement at a Pentagon press briefing. Absent from the event was Marine Corps Gen. Joseph Dunford, the newly installed chairman of the Joint Chiefs of Staff who was serving as commandant of the Marine Corps earlier this year when the Corps made its pitch to keep some gender restrictions in place. Dunford was in the Washington area Thursday attending a series of meetings, his office said. The absence of the military's top uniformed officer raised questions about his support for Carter's decision, and he issued a statement that stopped short of agreeing with the move. "I have had the opportunity to provide my advice on the issue of full integration of women into the armed forces. In the wake of the secretary's decision, my responsibility is to ensure his decision is properly implemented," Dunford said in the brief statement. Carter also may face a challenge from Capitol Hill. Congress has 30 days to review the move, and leaders of the House and Senate Armed Services committees on Thursday promised to give "proper and rigorous oversight" to the decision's potential long-term effects on the force. The influential lawmakers offered no firm support or opposition to the move. 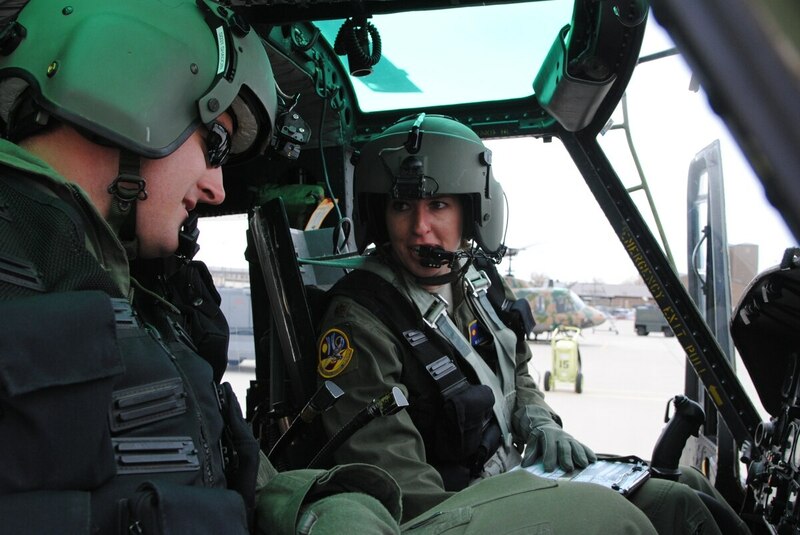 Instead, they said they want defense officials to quickly turn over all research and rationale — including a 1,000-page Marine Integrated Task Force report critical of allowing women in combat roles — to ensure that lawmakers fully understand the process that led to Carter's decision. "In the end, Congress does have the authority to weigh in on this situation," said one senior defense official. Carter acknowledged the significant challenges ahead in an internal memo to top Pentagon leaders issued Thursday. "Equal opportunity may not always equate to equal participation by men and women," Carter wrote in the memo, noting that leaders in the ranks initially may find it difficult to manage and mentor small cadres of women. arter pointed to studies from both the Army and Marine Corps that show women sustain injuries at higher rates than men, especially in jobs that involve carrying heavy loads, and said those concerns "must be addressed in the implementation of the full integration of women in the armed forces," according to the memo. Carter also noted that not all military men will immediately accept women in traditionally male-only jobs. "The integration of women in combat may require a cultural shift in previously all-male career fields," he wrote. Lt. Col. Kate Germano addresses an audience during the 4th Battalion relief and appointment ceremony on July 18, 2014, aboard Marine Corps Recruit Depot Parris Island, S.C.
Women, who make up about 14 percent of today's force, may face some cultural challenges too, Germano said. 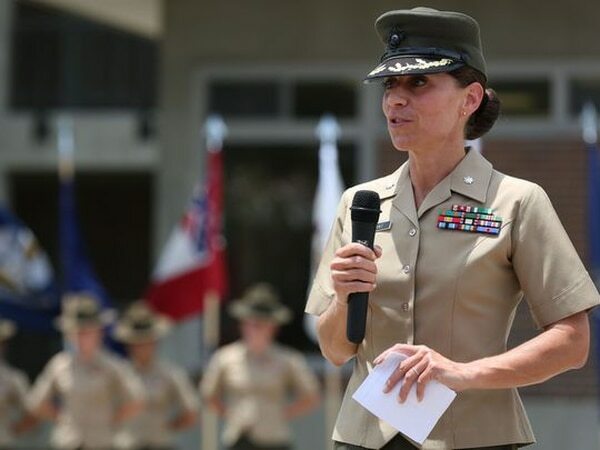 She has been outspoken about those cultural challenges since her removal from her post as head of the Parris Island female recruit training battalion amid allegations that she was "hostile, unprofessional and abusive." She said she was only trying to raise standards amid a culture of lowered expectations for female Marines. "There should be no reason to have an expectation for a woman not to qualify on the range," she said. "They need to look at screening and enlisting a tougher candidate — physiologically and mentally — and they need to hold them accountable. If you change that, you see women demanding more from themselves. We saw great progress just because there was a higher expectation for performance."